This post is an homage to my sister (who shall remain nameless since she would rather not be affiliated with this blog, which is the greatest form of flattery) and her world famous travel blog. Trust me, it’s huge in Russia and with seniors. 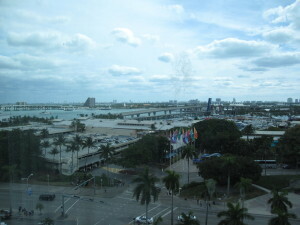 Last week my partner and I went to Miami on vacation for three days. We chose Miami because the flight was cheap and we wanted to go somewhere warm. I haven’t been going to the gym and doing all this yoga to keep this body covered. We never flew Jet Blue before but I would definitely recommend them. They have televisions on the seat backs as well as snacks and drinks, what’s not to love? Our flight out was on time and went off with out a hitch. The flight home was delayed due to thunder storms. Thankfully the storms let up before takeoff and my Dramamine had kicked in. Amazingly, they still had us home on schedule. We booked our flight and our hotel, the rest was winging it (flying pun intended). We flew in and out of Fort Lauderdale and had three options for getting to Miami. A taxi for $80-90 (no way), a shuttle to the Tri Rail then to the Metro Rail and finally to the Metro Mover for like $20 (we were going to try it but we missed the last shuttle), or a Go Shuttle for $46 (door to door service that you can book near baggage claim) won out. It’s a ten passenger mini van that you get crammed into with your new adopted family for a 45 minute drive. We were in the way back seat with our collegiate sister who preferred texting over mingling, dad was in the middle seat with his mail-order bride in the row in front to make sure she didn’t escape, our Jamaican aunt was next to her, and finally Uncle Perv sat right behind the door so everyone (who he affectionately called “babe”) had to rub up against him in order to get in or out of the van. If you’ve ever wondered what happens to New York City cab drivers when they retire, wonder no more, they become Go Shuttle drivers. Through it all I was content because Donna Summer and Kim Wilde were on the radio and my Dramamine hadn’t worn off yet. 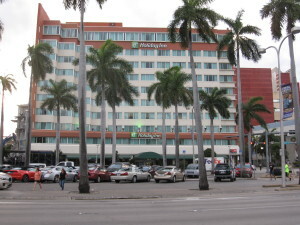 We stayed at the Holiday Inn Port Of Miami. Not the cheapest but not the fanciest hotel either. It was perfect because we had a bay-side room and a trolley stop across the street. You can take the trolley around most of Miami or transfer to the Metro Rail, Metro Mover, or bus line. We never took the Metro Rail that you pay per ride or buy a day pass for. 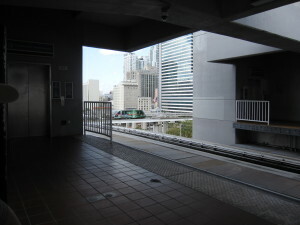 The Metro Mover is a free monorail that doesn’t have seats so you stand for your trip. If you’re like me and not a fan of heights then it can make you a little woozy but it’s a nice way to see the city. The bus costs $2.25 but our mistake was taking it at rush hour. You become very close with your fellow commuters at that time. 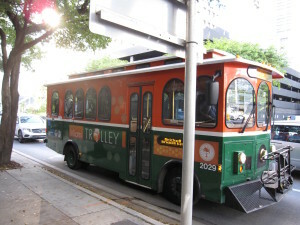 The Miami Trolley was our main form of transportation because it was free and convenient. Since it’s free, everybody uses it, making for some interesting trips. 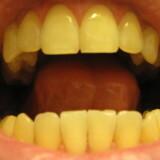 My favorite trip was with a drunk chick and her twitching boyfriend who must have been detoxing. She was trying to console him by rubbing his back as he rocked back and forth moaning. That was until the song “I Want To Know What Love Is” by Foreigner came on over the sound system. 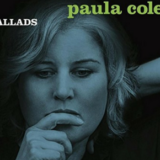 Her boyfriend was forgotten as she proclaimed her love for the song aloud and gave us a concert. 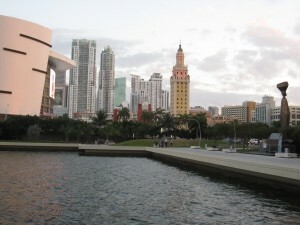 I like to vacation in urban areas which Miami is but it’s not as walkable as I would have liked. It’s so spread out that you have to take public transportation to places where you can walk around. The walking we did was pretty amazing though. 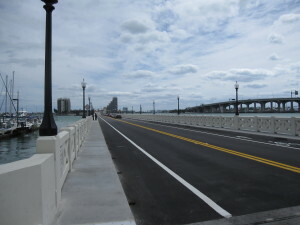 One day we walked the Venetian Causeway over the Biscayne Bay through the Venetian Islands and into Miami Beach. As mentioned I don’t like heights but these walkways (which are shared with cars) were close to the water and the railings were high enough that I never thought I’d fall to my death. Even my partner who doesn’t like bridges was ok. The architectural views were amazing, at least what we could see of the mansions behind their iron gates. 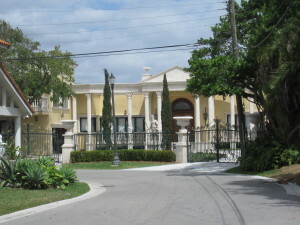 Miami is very much about The Haves and The Have Nots with gates and walls everywhere. 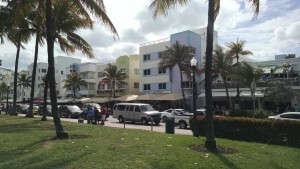 The Causeway drops you off right in Miami Beach’s Art Deco district which means lots of pastel and neon. All these years I thought my taste was tacky when all along it’s been Art Deco. 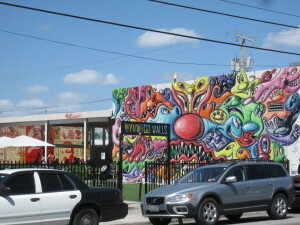 In my gay opinion, the best part of Miami is actually one of my favorite places of all time, it’s called Wynwood. Wynwood Walls is the epicenter of it all. It’s a free outdoor museum that has every building side and courtyard wall decorated by street art. As you wander around the neighborhood the buildings have also given up their plain brick facades to works of art. It’s everywhere, even the sidewalks have spray painted messages. The colors are so vibrant and the art draws you in. 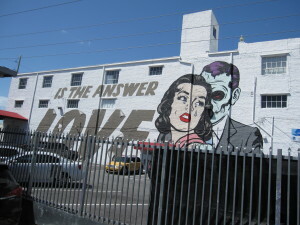 Wynwood is a must see if you’re in Miami or near by. Plan it for a nice day and have on comfortable shoes because there’s lots of walking around to do. You can just stroll the streets and you’ll find plenty to see. Three full days in Miami was the right amount of time for me. It’s a good place to visit if you have a reason to be there. If you’re taking a cruise out of the port or attending a music festival then definitely add a couple days to explore the city. I’m glad I went but I wouldn’t call it a vacation destination, it’s more of a brief get away. Thanks for the “homage”, but I wish you would have said dedication, now I have to google homage! Thanks for your kudos. You know how much I love my kudos! I know you’d like Wynwood, it combines two of your favorite things…don’t think so hard trying to figure out what the two things are are, it’s art and exercise. I only used “homage” because I needed a classy word for a classy lady…notice, I even called you a lady.